We’d love your help. Let us know what’s wrong with this preview of Clowders by Vanessa Morgan. When Aidan, Jess and their five-year-old daughter, Eleonore, move from America to Clervaux, it seems as if they've arrived in paradise. It Clervaux, Luxembourg. This secluded, picturesque town in the middle of Europe is home to more cats than people. For years, tourists have flocked to this place – also known as “cat haven” - to meet the cats and buy cat-related souvenirs. 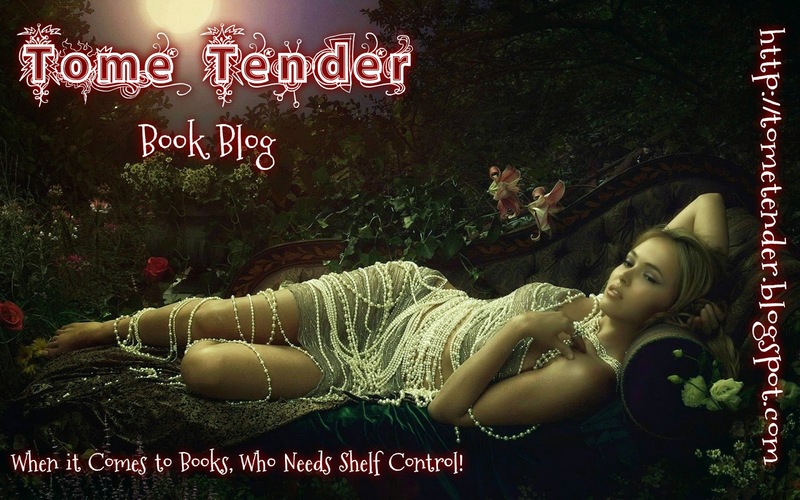 To ask other readers questions about Clowders, please sign up. Are you a cat lover? Welcome to Clervaux where cats are more than a tourist attraction, more than the mysterious creatures with nine lives, they are everything. They can be terrifying, they are everywhere. They can say who lives and who dies and no one can stop them. 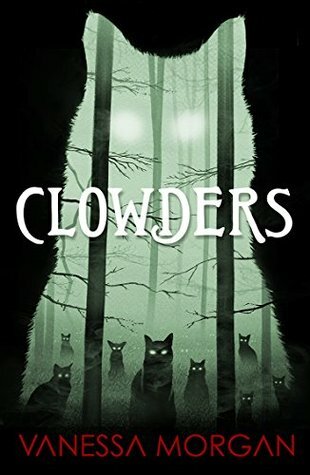 CLOWDERS by Vanessa Morgan is a dark and deadly look at a town controlled by cats and a mysterious creature that stalked through the night. It was a huge move, uprooting his family, taking them to a tiny hamlet in Luxembourg, but Ai Are you a cat lover? Welcome to Clervaux where cats are more than a tourist attraction, more than the mysterious creatures with nine lives, they are everything. They can be terrifying, they are everywhere. They can say who lives and who dies and no one can stop them. CLOWDERS by Vanessa Morgan is a dark and deadly look at a town controlled by cats and a mysterious creature that stalked through the night. It was a huge move, uprooting his family, taking them to a tiny hamlet in Luxembourg, but Aidan had no idea what this move would cost the young veterinarian. The legend states that for every cat killed, nine humans will die. When Jess accidentally runs over a cat, it becomes clear that the legend is more than myth and the cheerful town folk are both prisoners and slaves to the wishes of their feline friends. Not only will Aidan, Jess and their daughter, Eleonore find themselves trapped in a living nightmare, marital bonds will be tested, lies will be told and resentments will grow. Cat lovers beware, those purring bundles of fluff may be more mysterious than their reputations could say. They can be a deadly nightmare come to life..perhaps you would like to go change that litter box now, instead of tomorrow? I received a complimentary ARC copy from Vanessa Morgan! The rating is kinda closer to 2,5 stars, but let's just round it up. This book was definitely inspired by (if not outright ripping off) Hex by Thomas Olde Heuvelt, and that gave me some strong feelings of deja vu. A village in Europe (Hex was originally published in Dutch and set in the Netherlands), that has been cursed with a creature of some sort, that can come and go as they please as they check on the villagers one by one during the day, and something bad will happen if you provoke them, and The rating is kinda closer to 2,5 stars, but let's just round it up. This book was definitely inspired by (if not outright ripping off) Hex by Thomas Olde Heuvelt, and that gave me some strong feelings of deja vu. A village in Europe (Hex was originally published in Dutch and set in the Netherlands), that has been cursed with a creature of some sort, that can come and go as they please as they check on the villagers one by one during the day, and something bad will happen if you provoke them, and the villagers all know about it but still stay there and just put their heads down and obey the rules? And they also have a festival all about the curse just to make it seem fake? (view spoiler)[And the ending is pretty unhappy, although that would be an understatement for Hex? (hide spoiler)] Yeah. The truth is, it's not the similarities with Hex that put me off, but the writing style. The sentences are clunky and almost childish. "Aidan was thinking about his wife. His wife had beautiful auburn hair and was sitting next to him. Jess had always been with him and they had always been happy. They arrived at Clervaux, the city seemed beautiful. Their landlord met them on the street, "Hey, are you the new residents? ", he said" It seemed so amateur-ish. Not that huge, purple-language paragraphs are better, but it was hard to get into the atmosphere of the book. The reason why the book still gets 2,5/ 3 stars is the creepy scenes. Anything that was directly related to the Tengu's appearances was very well paced and presented to us, and also very effective, at least for me. I enjoyed those scenes. ....One more thing: I really dislike the use of the word "tengu" for the cat creature. "Tengu" is a specific word for a specific creature in Japanese folklore, and it even translates to "heavenly DOG". It kind of felt like Vanessa Morgan just thought the word was cool and decided to use it, but... it doesn't work like that? All in all, it wasn't bad, but I wanted more. It says that the author is called the 'female Stephen King'. I'm not sure who calls her this or if they've ever read Stephen King, but no. Just no. This is basic horror. More old-fashioned than old-school, there are very few surprises here. Likable characters include the couple's daughter, their cat, and a guy named David. Unlikable characters include...everyone else. The author chose to make one character American and another one who is Irish, but seems to have spent many years in America, yet th It says that the author is called the 'female Stephen King'. I'm not sure who calls her this or if they've ever read Stephen King, but no. Just no. The author chose to make one character American and another one who is Irish, but seems to have spent many years in America, yet they never sound the least bit American or somewhat American. It took me a bit to figure out why Aidan was in a cabinet lol. Clervaux, a small village in Clowders is a book that reminded me a lot of vintage, small-town European horror from the likes of Herbert, Hutson, Clark, and Campbell. Vanessa Morgan weaves a creepy, suspenseful tale about urban legends and rural superstitions, with a plot that feeds on paranoia and fear. Moreover, while she does play cat-and-mouse with the mystery of what's really happening, she digs in the supernatural claws about halfway through, delivering a cold climax that's entirely fitting. This was such a wonderfully quirky horror novel involving a small town held captive by an ancient presence. Given the synopsis, one could easily underestimate this story. I initially expected a campy creature feature involving crazy cat ladies. Instead, this was an intelligent piece of classic horror with a family at the heart of the story. While not particularly scary, I found the narrative to be engrossing. The main characters were well developed with relatable motivations and flaws. This was my first experience reading this author's work and I was thoroughly impressed by her storytelling abilities. I look forward to reading more from this (new-to-me) female horror author. Whether you are a cat-lover or cat-hater, I would recommend this entertaining horror novel to anyone who looking to read an engaging story of a town haunted a demonic feline curse. This was a creative and creepy tale with a decent back story that tells the legend of this cursed village. Personally I love stories about creepy little towns with strange inhabitants who are all in on a secret that leaves the newcomers in peril. This picturesque town of Clervaux delivers that along with a demonic being who will take revenge on anyone who kills a cat. The main characters are Aidan, a controlling, selfish, yet weak willed veterinarian who expects his wife to just g First the good.. This picturesque town of Clervaux delivers that along with a demonic being who will take revenge on anyone who kills a cat. The main characters are Aidan, a controlling, selfish, yet weak willed veterinarian who expects his wife to just go along with every whim he has, and Jess the put upon wife who can't be bothered to stand up for herself.. The characters behavior sometimes came across as unnatural. There were some strange choices that defy the logic of what someone would do in certain situations. Some things just lacked a natural flow and resolution, like angry villagers chasing you with murderous intent but then you get home and..nothing. I guess they gave up and went home. It didn't really say.There were also some strange bits of narrative, for example "He plucked a strand of hair from behind her face and put it tenderly behind her ear." All in all not a bad story, and some very creative ideas. First of all, I'm going to say that my review will probably veer into spoiler territory, although not too much more than what the blurb implies. Basically this is the story of Aiden and Jess, and their daughter Eleonore, who move from America to Luxemburg. Aiden is a restless spirit, drawn to travel and adventure, but his wife Jess is not. She seeks stability for her daughter, and couldn't bear letting Aiden go, and so the Thank you to Netgalley and the publisher for the chance to read this book! First of all, I'm going to say that my review will probably veer into spoiler territory, although not too much more than what the blurb implies. Basically this is the story of Aiden and Jess, and their daughter Eleonore, who move from America to Luxemburg. Aiden is a restless spirit, drawn to travel and adventure, but his wife Jess is not. She seeks stability for her daughter, and couldn't bear letting Aiden go, and so the mitchmatched family all try to do their best with the situation. Things start to spiral out of control; Aiden repeats constantly that he'd never cheat on Jess, then makes out with a client while on a night out with both her and Jess. Then on the night home a tired Jess is persuaded to drive and runs over a cat, and the group fall under a curse. Basically most of this is hinted at in the blurb, and despite the fact that the Tengu visits them multiple times to suss them out, there is zero suspense to this story. We get told over and over that people who hurt/kill cats in this town get killed by the Tengu. Guess what happens? They all get killed by the Tengu. Oh except sometimes we don't even get to see them die, sometimes they just die off screen. And the magic Tengu number is nine, but I missed some of the deaths, I counted 7? I should add that the reviews attached to this are a bit misleading; I believe you should never compare authors and Vanessa Morgan in the published reviews gets compared as a female Stephen King. Not a good comparision; there is no tension and the writing could probably use another going over here. Aiden, who is Irish, moves his family from America to Clervaux, Luxembourg. He is excited for the new adventure. His American wife, Jess, is not. The city of Clervaux turns out to be literally ruled by clowders of cats (a clowder is a group of cats like a pack is a group of dogs). I really don't read much horror but I was intrigued by the concept of a horror book centering on cats and one centered on a real town. I really had no idea where 'Clowders' would lead me. All of 'Clowder's' characters were unlikable. Even Aiden and Jess's five-year daughter was not very endearing . Aiden is self-centered. Jess is mentally weak and gives in to everything Aiden wants. Eleonore is bratty and not well-behaved. This innate likeableness is really what drove the story along and left a foreboding feeling of what would happen next. I really enjoyed having no idea if the impending doom was real or just a figment of the townspeople's imagination. It really left me second guessing what was truly going on. The first 3/4 of the book seemed like a normal story then suddenly it was terrifying. Clowders by Vanessa Morgan is a first-rate horror story. When Adrian Burns is offered a job as a vet in a cat clinic in Luxembourg, it seems a dream come true for his wanderlust. The little village of Clervaux is a cat lover’s paradise. People come from all over to see the cats. But Clervaux hides a dark secret. Cats must die a natural death here. If humans cause the death of a cat, maliciously or accidentally, the guardian spirit that protects the cats will retaliate by taking the lives of nine Clowders by Vanessa Morgan is a first-rate horror story. When Adrian Burns is offered a job as a vet in a cat clinic in Luxembourg, it seems a dream come true for his wanderlust. The little village of Clervaux is a cat lover’s paradise. People come from all over to see the cats. But Clervaux hides a dark secret. Cats must die a natural death here. If humans cause the death of a cat, maliciously or accidentally, the guardian spirit that protects the cats will retaliate by taking the lives of nine humans in return. When Jess hits a cat on the way back from a party, its death releases the curse upon the tiny town once more. I really enjoyed this story. It reminded me of Thomas Olde Heuvelt's HEX. Morgan did a marvelous job with Jess’ emotions and psychology. Moving is difficult, especially if you do so reluctantly. I felt so bad for her as Aidan didn't seem to appreciate the sacrifice she made for him by going along with this move. She's an introverted person, and, well, we handle change about as well as Clervaux’s cats. We don't like it. I really didn't like Aidan at all. That he would so readily be willing to cheat on Jess at all, and that he ignores her messages and is inconsiderate by breaking commitments, gives the impression of a shallow personality. I was a bit confused by the legend surrounding Clervaux, with the guardian spirit of the cats being a beastie from Japanese mythology. Especially since said beastie is more associated with birds. The description and behaviour seem reminiscent of the cait sidhe of Celtic lore. Aidan’s Irish heritage further supports this. I am not as familiar with Belgian or Luxembourg lore, though, and it could that it's a being with a similar name. I would also like to know why the creature is here. However, as an entertaining horror tale, Clowders fits the bill. You won't look at a cluster of cats the same way again! ***Many thanks to Silver Dagger Tours and the author for providing an egalley in exchange for a fair and honest review. Clowders aka The Cats is an interesting horror novel that is an interesting read but at times the characters let it down somewhat. Starting off with a superstition that piques the interest of the reader about a small town in Europe that celebrates cats and the consequences of those, that do not honour their fur babies. Mason has done an excellent job setting up the rules and folk tale of this community. She has a fully realised feel for the environment and the town itself. Even her supporting cha Clowders aka The Cats is an interesting horror novel that is an interesting read but at times the characters let it down somewhat. Starting off with a superstition that piques the interest of the reader about a small town in Europe that celebrates cats and the consequences of those, that do not honour their fur babies. Mason has done an excellent job setting up the rules and folk tale of this community. She has a fully realised feel for the environment and the town itself. Even her supporting characters come across as organic to the small town for which they live. Mason excels in this aspect. Unfortunately, her main characters at times don’t always come across as very unlikeable and this created a little bit of a problem for me. Interestingly enough, Jess at the beginning of the story I found irritating and her personality was one of constant disappointment with lack of drive. Aiden’s character was a bit more likeable but interestingly enough, these roles midway through the story switch and Aiden becomes a deplorable character. This set up a personal problem with me because without revealing spoilers, the conclusion didn’t hit me the same way if the characters were more likable. My hats are off to Mason for her ending. She didn’t settle and she hit the right plot points to really give a fantastic ending. I admire an author that doesn’t settle but in fact, hits the subject hard in which she does do convincingly. Overall, Chowder is a good read with interesting plot, well developed background with secondary characters that drive this to an enjoyable horror thriller. The main characters are well intentioned and at times, on a personal level, a bit irritating but the plot more than makes up for this. If you are looking for a good horror with a folklore backing, then this is for you. I recommend this for anyone who wants a good intelligent scare. They say cats have nine lives. What that means in the lovely isolated town of Clervaux, Luxemburg is they take nine. That’s right. When a cat dies, nine human lives are taken. When an American family moves to Clervaux, they believe the legend is just that, a legend. But then a cat is killed and not long after someone dies. One down, eight to go. This started out so hopeful. A scenic little town, friendly inhabitants, and lots of cats. But slowly, the atmosphere darkens. Strange noises are heard. S They say cats have nine lives. What that means in the lovely isolated town of Clervaux, Luxemburg is they take nine. That’s right. When a cat dies, nine human lives are taken. This started out so hopeful. A scenic little town, friendly inhabitants, and lots of cats. But slowly, the atmosphere darkens. Strange noises are heard. Something prowls in the house at night. Claws click across the floor. Food disappears, Shadows hide a hunched over figure. And the friendly neighbors become not so friendly. Sounds like a good movie, doesn’t it? Thanks to the author’s talent for showing the story, it felt like I was watching it. It takes a lot to give me the creeps. I’ve read a bunch of horror stories and watched lots of movies. A few scenes in this book are so creeptastic! There’s this scene where something is stalking the next victim. It moves boldly through the crowd of tourists. They think it’s part of something put on to entertain and take pictures of it, even as it attacks. I’d like to think I’d know the difference. I read it over again and still got creeped out. Soft kitty. Warm kitty. Little ball of fur….. Not! Full review available at: warmdayswillnevercease.wordpress.com. I liked a lot about this book! The plot is really intriguing because it’s about a fictional myth that Morgan has created, not based on an actual myth, and I thought that this was very clever. The ‘myth’ ensures the safety of the town’s cats as the locals believe that if a cat is killed (by unnatural causes) then nine people will die as recompense. Cats seem to have more rights than humans in the town of Clervaux. I find cats creepy a Full review available at: warmdayswillnevercease.wordpress.com. I liked a lot about this book! The plot is really intriguing because it’s about a fictional myth that Morgan has created, not based on an actual myth, and I thought that this was very clever. The ‘myth’ ensures the safety of the town’s cats as the locals believe that if a cat is killed (by unnatural causes) then nine people will die as recompense. Cats seem to have more rights than humans in the town of Clervaux. I find cats creepy anyway so this book well and truly creeped me out. Clowders is full of suspense and, until the end, I did consider it more of a thriller than a horror novel because it’s was mainly about building tension and the ‘what if…’ factor. However, that all changes at the end of the book as it becomes graphically violent. I wouldn’t say that the novel scared me at all but it did keep me on the edge of my seat. The ending was good too because it was oddly normal, in a really good way, almost as if the locals didn’t care about what was going on in their town. There’s a subplot that involves an affair between Aiden, one of the main characters, and a woman called Lorenza. I didn’t enjoy this subplot at all. I know that it was to create more tension between the two main characters, Jess and Aiden, but it just made me uncomfortable. Clowders by Vanessa Morgan is a free NetGalley ebook that I read in mid-April. Clervaux, Luxembourg: a place with suspicious locals and a whole lot of cats. The story of Aidan, a veterinarian, his wife, Jess, and daughter Eleanore settling in as newcomers to Clervaux is riddled with heavily implied suspense and tension through banal, repetitive interactions with second glances; rather a lot like a weak-tea Hot Fuzz. A town being run, first and foremost, by keeping all the cats safe and healthy or else. I found this story to be very creepy and creative. In league with Stephen King or Dean Koontz? No. But it was interesting and atmospheric. I thank Netgalley for the opportunity to read and review this book. Super creepy and quirky - which is exactly what I was expecting from the cover and synopsis. This story did not disappoint! I do wish there was a bit more suspense (hence the missing star rating) but overall this was definitely worth my time. I recommend to all fans who love a good shiver-causing read. Belgian author Vanessa Morgan is an author, screenwriter (three of her works have been made into movies), and blogger on her site called Traveling Cats. She is also an avid cat photographer – an avocation that enhances her books about felines. The stage is set and the story unravels eloquently – ‘Clervaux, Luxembourg. This secluded, picturesque town in the middle of Europe is home to more cats than people. For years, tourists have flocked to this place – also known as “cat haven” - to meet the cats and buy cat-related souvenirs. Aidan lives in America with his wife Jess and daughter Eleonore. Aidan has always been a nomad and is used to moving around a lot. When he gets a job as a veterinarian in Clervaux, Luxembourg, they pack up their belongings and move to Europe. Clervaux is a small town that has more cats than human residents. It's also know as 'cat haven'. Tourists go there all the time to meet the cats and to buy cat themed souvenirs from the local shops. Having a cat themselves you'd think that Aidan and his fam Aidan lives in America with his wife Jess and daughter Eleonore. Aidan has always been a nomad and is used to moving around a lot. When he gets a job as a veterinarian in Clervaux, Luxembourg, they pack up their belongings and move to Europe. Clervaux is a small town that has more cats than human residents. It's also know as 'cat haven'. Tourists go there all the time to meet the cats and to buy cat themed souvenirs from the local shops. Having a cat themselves you'd think that Aidan and his family would fit right in. Aidan soon finds out that the cats are worshipped by the local residents. Is Clervaux really their new home like they thought it would be? Jess and Aidan are very different. Jess likes to stay home and is perfectly fine with being with her own little family. If it would have been up to her the move would never have happened. She follows Aidan to keep their family together and is trying to make a new life for her and Eleonore. Aidan works long hours, because there's always a cat that needs medical care. Jess feels watched, hears strange noises in their house and food mysteriously disappears. When she gets into a car accident that cost the life of a cat, their new found friends change their behavior and stay away from them. Legend says that for every cat that doesn't die of a natural cause, nine human lives are taken as punishment by the protector of the cats, Tengu. If this legend is true Jess's days are numbered, who will be safe and who will be taken by the Tengu? Aidan thought he was doing the right thing by moving to Europe. He needs this change to feel alive again. In the beginning he thinks that being in Clervaux will help his family to go back to the loving unit they once were, but in reality he's more away than at home. If Clervaux teaches Jess one thing, it's that she'll no longer stay quiet just to please others. She has her flaws, but she's learning to be strong and independent. Eleonore is a bright and sweet young girl and I loved how she connects with other people. Aidan and Jess love each other deeply, but they need a wake up call to remind themselves why they fell in love in the first place. I was really hoping that it wouldn't be to late for them to work through their differences. This review was originally posted on my blog, Paradise Found. I was expecting a thrilling tale going into Clowders but unfortunately I closed the book in the end fairly disappointed. The plain truth is: I was a lot more bored than thrilled while reading it and I kept waiting for a turning point that would have changed my opinion but the real rush of fear never came and I was eventually le This review was originally posted on my blog, Paradise Found. I was expecting a thrilling tale going into Clowders but unfortunately I closed the book in the end fairly disappointed. The plain truth is: I was a lot more bored than thrilled while reading it and I kept waiting for a turning point that would have changed my opinion but the real rush of fear never came and I was eventually left with an empty feeling regarding the book. Clowders tells the story of a family who moves to a small town in Luxemburg that is famous for its high cat population. Aidan and Jess, who take their 5 year old daughter Eleonore with them too, soon realize that people in the town act strangely, especially when a cat's life is in danger. They learn about a legend that keeps the townspeople in fear and that makes sure they treat the cats of the town well. When a cat dies in an accident and a mysterious feral creature starts stalking Jess and Eleonore, the legend turns out to be real. The only question is whether the family can escape from the crazy cat town in time to avoid the gruesome fate they can expect after being involved in the incident. More than half of the novel is about Aidan and Jess trying to patch up their broken relationship. I confess I didn't like these characters at all. Aidan is the one who wanted to move to Europe, he basically dragged Jess and his little girl with him because he wanted some adventure in his life again. Almost as soon as they arrive to Clervaux he starts an affair with with a horrible woman who likes playing around with (sometimes married) men just for fun. Aidan doesn't give a fig that Jess hates their new home, that she's slowly becoming depressed because she has nothing to do all day. I didn't like Jess mostly because she was very slow to understand what was going on around her (just like Aidan, actually) and because she complained too much about things rather than doing something to solve them. She didn't like driving Eleonore to and from school for expample, but at the same time she was always going on about how she didn't have anything to do all day. Partly I understand why the situation was tough for her but many times she annoyed me with her utter helplessness. Even when Eleanore was around, she just put the kid in front of the telly rather than playing with her. They hardly ever did anything together, mother and daughter, which was kinda strange to me. The half-human half-cat creature wasn't scary enough for me because for the longest time it didn't do anything at all other than stalk people by standing in their bedrooms at night. It didn't attack anyone unless a cat had been killed and even then, she made a quick job of getting rid of the guilty party. What made the whole thing creepy (and why I gave it two stars/pineapples in the end instead of one) was the town's reaction; they worked together with this monster/catgirl, they actually helped the creature eliminate the cat killers. Clervaux was a little bit like the village in the movie Hot Fuzz (only that movie is waaay better than this book). No one tried to stop the creature. Like... what?? I'm not kidding. People tried to escape but they didn't try to fight. They accepted without question that it cannot be defeated and the only thing they tried was to outrun it. I received an ARC of this book from the publisher via NetGalley. This book has content warnings for cat death, human death, gore, car accidents, physical violence, and toxic relationships. This book was a mixed bag for me because while I thought the premise was fascinating and thought that the horror aspects of the book were really good and creepy, I felt frustrated with much of the rest of the book. To start with, I could not stand Aidan. After the move to Clervaux he almost immediately started cheating on Jess, whom he dragged to a different continent with him. (I also had a LOT of issues with the woman that Aidan was "seduced" by being a Latina-coded, stereotypical homewrecker. She was the only person in the book that was coded as a person of color, and that felt very icky to me because OF COURSE the cheating isn't the white man's fault...) His tone was also irritating and he was overall pretty boring. Jess was a little better, but not by much; it was clear that she cared about her child and her relationship, but her behaviors bothered me a lot and she was also difficult to read. I also had issues with literally every other character in this book that was not either a child or a feline... Eleonore was fine and didn't bother me because she acted like a small child could be expected to. Everybody else got on my nerves at all times. What frustrated me the most, I think, was how literally no one bothered to even try to explain to the newcomers (Aidan and Jess) why the town had rules against killing cats. This was written off as "too difficult to do" by one of the characters, but it just seemed silly because it's written in the book description and telling someone a legend should not be that difficult. This really weird aversion to actually explaining what was going on to these characters was an okay mystery at first, but it got really tired really quickly and made the pacing feel very off. I did enjoy the legend itself and the cats and the horror aspects of the book, but these didn't really shine through because so much effort was put into masking these elements and making the book feel more like a mystery than a horror story. I think I would have liked this book a whole lot better if all humans were removed from the book and it was just the cats. With this town's luck and history, it seems like this could be something that happens eventually anyway. When I read the synopsis of this book I thought I would absolutely enjoy reading Clowders. But now that I have finished reading Clowders I feel that my expectations had not being met satisfactorily, though I agree I had quite a high amount of expectations. Anyways jumping straight to the review, first I would talk about the good points then I would let you on to why this book kind of disappointed me. First thing that I loved about the book were the two characters Jess and Eleonore. Jess’ characte When I read the synopsis of this book I thought I would absolutely enjoy reading Clowders. But now that I have finished reading Clowders I feel that my expectations had not being met satisfactorily, though I agree I had quite a high amount of expectations. Anyways jumping straight to the review, first I would talk about the good points then I would let you on to why this book kind of disappointed me. First thing that I loved about the book were the two characters Jess and Eleonore. Jess’ character was especially very good. She was a very good wife and even better mother. She was in inner turmoil and mental pain many times but still she managed to put a happy face and managed to enjoy, only for the sake of her daughter. Eleonore’s character was quite good too, she was a very sweet girl. The whole book was filled with suspense and there were quite a few horrifying and scary scenes in the book, especially the climax was very scary. The last four deaths happened one after another therefore, the last 10% or so was really terrifying. Now coming to the things, that rendered this book not quite satisfying. There are two things that I didn’t like about the book. The first one was Aiden’s character. He was just not likeable, I know there are people like him out there and maybe I don’t have the right to judge someone, but I just didn’t like his character. The other thing, and my biggest bummer was the infidelity subplot, it was present for most part of the book, and it kind of shifted away the focus from the main plot. So some of the scary scenes somehow lost it’s intensity as my focus was elsewhere. This infidelity plot just proved to be quite annoying, because sometimes I was more interested to know whether he would cheat or not rather than been interested in who is the ghost or if the Burns family would make it alive. Even though there were a few things that I didn’t like about this book, but still it was a good read, and succeeded to keep my interest riveted to it because of the suspense making it quite a page turner. In Eselborn in 1789 there is a horrible winter that found the residence freezing and starving. People would go out to hunt but would disappear. Those that went out looking for them never returned. But it seems the author of the journal entry discovered something strange in Clervauz. Clervauz, Luxembourg is also known as “cat haven.” There are more cats to humans and tourists visit to see the cats and buy cat merchandise. But on May 2015, Camille learns that the curse she learned as a child is tru In Eselborn in 1789 there is a horrible winter that found the residence freezing and starving. People would go out to hunt but would disappear. Those that went out looking for them never returned. But it seems the author of the journal entry discovered something strange in Clervauz. Clervauz, Luxembourg is also known as “cat haven.” There are more cats to humans and tourists visit to see the cats and buy cat merchandise. But on May 2015, Camille learns that the curse she learned as a child is true. That there is more to the curse than when a cat is killed nine people must die. In present day, veterinarian Aidan Burns has moved his family from America to Clervauz. But it seems there is more happening in this little town than just the curse. Things start going badly for Aidan and Jess, lies are told, hearts are broken, and people are dying. Being a crazy cat lady meant I couldn’t get through my TBR list fast enough to start reading it. I liked the premise and it started out with just the right amount of creep to peak my curiosity. When a cat is killed nine people must die?! Heck yeah! And when she comes after you, there is nowhere to hide. But I have to say the whole portion where the trouble between Aidan and Jess gets rough could have been left out. I know it was there to make things tougher for them but I didn’t really feel it in the story. Killer cats was enough for me. Over all this is a good thriller. This is the first book of Vanessa Morgan’s that I have read but I am hooked. I can’t wait to get another one. This is a good thriller to check out, especially if you like or are afraid of cats. There is a town in Luxembourg where cats in their dozens roam the streets freely, the lives of the feline residents valued more highly than those of the humans living there. Superstition says that the town of Clervaux is cursed. Veterinarian Aidan and his wife and daughter, Jess and Eleonore (and Eleonore's cat Avalon), move to Clervaux from the USA as Aidan has secured a job at the local cat clinic. When a seriously ill cat is brought in to the clini I received a copy of this book via NetGalley. Veterinarian Aidan and his wife and daughter, Jess and Eleonore (and Eleonore's cat Avalon), move to Clervaux from the USA as Aidan has secured a job at the local cat clinic. When a seriously ill cat is brought in to the clinic Aidan is shocked at the reaction of the owner when Aidan suggests that the kindest thing would be to put the poor animal out of its misery. But this is not the way things work in Clervaux. Cats must be saved at all costs, otherwise the townsfolk will pay the ultimate price. I really wanted to love this book but an awful lot of time is spent describing extremely mundane, tedious family life and the actual 'horror' story is very sparse and basic, though it does pick up a little in the last quarter. There are also some very strange phrases and misused words in the writing every now and again. Editing hiccups perhaps but this was very distracting and off putting and even made me wonder whether the book was originally written in a different language, maybe, and has not been translated as well as it might have been. I don't know. On a positive note, the author has succeeded admirably in writing a cast of thoroughly unlikable characters (with the exception of Eleonore who is, mostly, a very sweet child) and it is a pleasure to watch them fear for their lives, looking over their shoulders at every turn. The town of Clervaux is the perfect cat sanctuary. Set somewhere in Luxembourg, the town is small, picturesque, and a tourist attraction for any cat lover. All residents of this small town seem to adore their feline friends, doing anything they can in order to keep them safe. And we do mean anything, at all costs. Aidan, a vet , moves to Clervaux with his wife, and Jess , and their daughter. The place is quiet, beautiful and magical. But when Jess accidentally kills a cat on a car accident, thing The town of Clervaux is the perfect cat sanctuary. Set somewhere in Luxembourg, the town is small, picturesque, and a tourist attraction for any cat lover. All residents of this small town seem to adore their feline friends, doing anything they can in order to keep them safe. And we do mean anything, at all costs. Aidan, a vet , moves to Clervaux with his wife, and Jess , and their daughter. The place is quiet, beautiful and magical. But when Jess accidentally kills a cat on a car accident, things will start going horribly wrong. One by one, people either disappear or get killed. What is going on in this town? Why is everyone so terrified of cats getting hurt? What is that clicking sound they keep hearing every night in their house? Clowders is a thriller novel with a unique and interesting concept. The author has created a very beautiful and atmospheric setting, and the story was actually quite scary at times. However, I found the story to be too long at points where it didn't really matter. There where too many family scenes that had no contribution to the plot, and far too many relationship details of the protagonists. That would be great if the relationships actually had anything to do with the story's main pointy or its ending, but in Clowders it doesn't matter at all, thus making it irrelevant. Moreover, some of the protagonists' decisions felt unnatural and completely illogical. The ending had a very interesting touch, a frightening climax, but was somewhat disappointing. In order not to spoil the ending, I will not elaborate on this, but let's just say the end left the reader somewhat unsatisfied. I don’t want to give a synopsis as in Aiden, Jess, and their young daughter move to a small out of the way town that has more cats than people or where that at all costs, a cat’s life is valued more than human. Come on. You just read it in the above book description. I want to talk about the relationship between Aiden and Jessie. I want to gossip about who is right and who is wrong and what is the real cause of the breakdown of their marriage. I want to debate who does Avalon, the cat, really be I don’t want to give a synopsis as in Aiden, Jess, and their young daughter move to a small out of the way town that has more cats than people or where that at all costs, a cat’s life is valued more than human. Come on. You just read it in the above book description. I want to talk about the relationship between Aiden and Jessie. I want to gossip about who is right and who is wrong and what is the real cause of the breakdown of their marriage. I want to debate who does Avalon, the cat, really belong to and who makes the decision. I want to talk in detail about the accident and later what happens to their young daughter. And I can’t talk about any of it because it would be full of spoilers. I will say that the book starts off with a bang. The momentum slows a bit with Jessie and Aiden’s move to the new town as we get to understand their relationship. Bits of tension build up and continue to build. Halfway through the book, I couldn’t put it down. The only downside to the novel is that I wish the author had shown more instead of telling. It’s all about feeling, isn’t it? How do you feel when you came to the end of the story? I think Clowders has a Children of the Corn vibe. Replace the corn with cats and replace the kids with adults. You’ll find the same theme. That was on the creepy side. I finished the book last night and did not have any nightmares about cats. I actually had a really nice dream about dogs which in itself was kind of strange. Pleasant, but I don’t dream about dogs normally. But then this morning as I pulled into the driveway, I gave a definite pause as to what the heck just scurried underneath the parked truck. Yep. I was back in the story. The author of this book is said to be a female version of Stephen King. True, when I read the story, it reminded me the Pet Sematary and Sleepwalkers, but it was also like any other horror movie I have ever seen, where a nice family or couple move into new town, somewhere that is not too crowded and somewhere that is somewhat secluded from rest of the world. Everything is so peaceful and romantic at the beginning, but there is evil underneath it all from the start and it gets scarier with every new scene. Even the evil spirit is just like in any other movie – child size, ditty, long dark hair in from of its face, walks on all four, and there are shining eyes and fangs behind the. Yes the story is chilling and well put together, but there are so many things that irked me. I really did not get the reason behind this “no talking about our legend to the new settlers” thing. It’s a disaster waiting to be happened, especially if the cats are everywhere and the protagonist is a veterinarian. And I was baffled by the action of some of the characters, and the reasoning for those actions that the author gave – they really did not make any sense and didn’t give anything to the story either. The story is good, it’s just a got the feeling like it was a pre movie movie script, like the author was not thinking about readers but was thinking of the viewers. I so wanted to like this story, but it was not in the stars. And I’m so glad I did not have cat with me while I was reading this book :). Brilliant, I loved it!! There were so many things I enjoyed about this story. Vanessa Morgan has done a fantastic job in writing a book that just grabs your attention, and doesn’t let go. Besides being well written, I liked the fact that I didn’t know where the story was going to end up, and I was left continually guessing right up until the very end. It’s quite a clever and unique plot. Moving to Clervaux, Luxembourg certainly sounds exciting, and it should have been for Aidan, Jess and their da Brilliant, I loved it!! There were so many things I enjoyed about this story. Vanessa Morgan has done a fantastic job in writing a book that just grabs your attention, and doesn’t let go. Besides being well written, I liked the fact that I didn’t know where the story was going to end up, and I was left continually guessing right up until the very end. It’s quite a clever and unique plot. Moving to Clervaux, Luxembourg certainly sounds exciting, and it should have been for Aidan, Jess and their daughter Eleonore, and it certainly would have been if it wasn’t for the cats. Jess still couldn’t understand why Aidan wanted to leave their home in the US, and come to a place where she didn’t speak the language, and they had no family or friends close by. However, Jess was prepared to make a go of things, even though it was very different from their life back in Connecticut. Fair enough that Clervaux was a well-known destination for tourists because of all the cats, and it seemed like the perfect place with Aidan being a vet, except the locals seemed a little bit strange. Maybe Jess should have insisted on them leaving the town, when she first started to sense that something wasn’t quite right, but Aidan wanted to stay, and he didn’t believe that there was anything wrong. What ever you do, don’t kill a cat!! This is certainly a story that I will remember for a long time. It’s well worth a read. Princess Fuzzypants here: Normally, I am ecstatic about a book where cats play an integral role and clearly with the title of Clowders, we are the main focus. I am not a huge horror fan to begin but when my species is the source of evil, I am not a purring camper. Let me tell, this is downright creepy and scary. Jess, Aidan, Eleanore and kitty, Avalon, leave everything behind so Aidan can live his dream of working in Europe. He is a vet and starts working at a cat clinic in their new town in Lux Princess Fuzzypants here: Normally, I am ecstatic about a book where cats play an integral role and clearly with the title of Clowders, we are the main focus. I am not a huge horror fan to begin but when my species is the source of evil, I am not a purring camper. Let me tell, this is downright creepy and scary. Jess, Aidan, Eleanore and kitty, Avalon, leave everything behind so Aidan can live his dream of working in Europe. He is a vet and starts working at a cat clinic in their new town in Luxembourg. Be careful what you wish for as dreams can turn to nightmares. There is a creature who roams the town protecting all cats from any harm. It sounds like my kind of creature except its definition of harm is anything that leads to death, even if that death would have been merciful. Out of terror, the inhabitants refuse to euthanize even when the cat is in distress. Everyone who lives in the town knows this and avoids it like the plague. Unfortunately, our intrepid family discover the truth far too late and the revenge exacted on those who were there when a cat died is horrible and gruesome. Aidan is a selfish and cowardly character but no one deserves the fate they are meted. Having said all that, if you like horror and do not mind casting felines as villains, it is a scary tale indeed. It is not one I will pick up and read again. That does not mean it lacks merit. Clowders combines nicely the human and the paranormal in a novel tinged with the weird, glimpses of the unsettling, and the Burns family relocating from America to Clervaux, Luxembourg. The husband Aidan has been a wanderer and just barely talked his wife Jess and their daughter Eleonore into moving to Europe where he will be a veterinarian in a town full of cats and more cats. The town holds a strange lore saying the killing of 1 cat equals the death of 9 human beings, but that's just superstition, right? Tack on the strange occurrence of food being snatched from their place by a creature they don't see and sure can hear. Then, the unthinkable happens - Jess runs over a cat in the woods surrounding the town...and people disappear. Clervaux, Luxembourg is the town that the book , Clowders, is centered upon as it is controlled by cats with a twist. The twist is that every time a cat dies, nine human lives are taken to fill the void. I admit, this was a hard read for me this week, but I pushed forward thinking my dearest Naya who passed over her own rainbow bridge this very same week I received this book for its book tour. The irony did not fail me throughout my reading. Superstition and paranoia are at the forefront of what Clervaux, Luxembourg is the town that the book , Clowders, is centered upon as it is controlled by cats with a twist. The twist is that every time a cat dies, nine human lives are taken to fill the void. Superstition and paranoia are at the forefront of what tourists deem folklore and locals deem reality. We follow Aidan (a vet), Jess, and their daughter Eleonore, after their move from Connecticut and the happen stances that follow in the "cat haven" that is Clervaux. When Jess runs over a cat on accident, the quaint history of the town which started in the 1700s starts coming to life. Talk about a unique story! I love a good thriller, that is based round local legend. This book is just such a read, and gives you so much detail that you are left completely engrossed in the story, wondering what will happen in the mysterious story and how it might affect the local community. I did find the book took a little bit to get moving, but once it started rolling, you were thrown into it so deep that you wondered if the clowders might get you as well. The detail and depth in which the a Talk about a unique story! I love a good thriller, that is based round local legend. This book is just such a read, and gives you so much detail that you are left completely engrossed in the story, wondering what will happen in the mysterious story and how it might affect the local community. I did find the book took a little bit to get moving, but once it started rolling, you were thrown into it so deep that you wondered if the clowders might get you as well. The detail and depth in which the author contributed to the story and legend were excellent. I loved getting to know the characters, filled with a love and hate for them, depending on the time and place. I also liked guessing whether or not pieces of the puzzle were real or just part of the crippling fear that gripped the community. Vanessa Morgan is an author, screenwriter, and blogger. Two of her works, The Strangers Outside and A Good Man, have been turned into films. Her short film script Next to Her is currently in pre-production. When she's not working on her latest book, you can find her reading, watching horror movies, digging through flea markets, or photographing felines for her blog Traveling Cats. "Vanessa Morgan Vanessa Morgan is an author, screenwriter, and blogger. Two of her works, The Strangers Outside and A Good Man, have been turned into films. Her short film script Next to Her is currently in pre-production. When she's not working on her latest book, you can find her reading, watching horror movies, digging through flea markets, or photographing felines for her blog Traveling Cats.